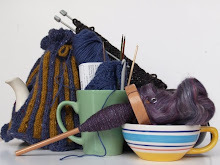 I'm lucky in that most of my family don't bother to read this blog; in fact, apart from my Mam, who has occasional flashes of craftiness, and who, years ago, introduced me to crochet, none of my family craft. So, I'm blissfully free to talk about Christmas presents I'm making. So far, this year, I have plans. In fact, I have more than plans. I've well started at this stage. 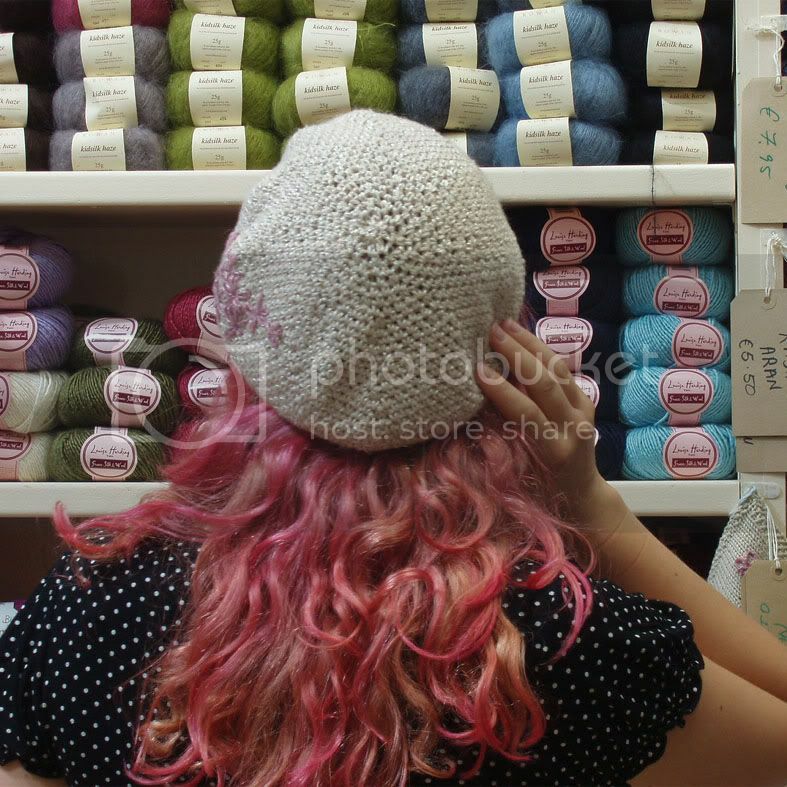 I know what I'm making, for who, and what yarn to use. I have even started into a few of them. I'm being smart (I hope), and not over-doing it with anyone's gifts this year. Everyone is getting beautifully made, personality-specific presents, but ones that won't take months to make. I reckon the trick to present-making at this time of the year is to keep it fast and easy. Much like a bag of chips. Dad: a felted toiletry bag. He travels a fair bit with his job, and I know his current toiletry bag is so old it's fit for retirement. 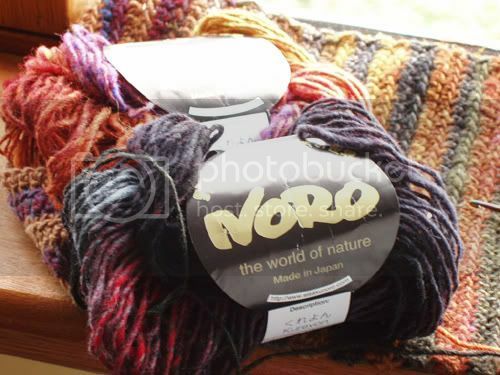 I'm working on this at the moment on my 3.5 mm hook, with 4 balls of Noro Kuryon, using that time-honoured ball-swappy every two rows thing that makes Noro look so gorgeous. I'm keeping the stitch pattern simple, just using the "manly" stitch that is front-loop double crochet, and I'm going to line it á la Marly's Cosmic Cosmetic Bag, so spillages won't be as much of a problem. 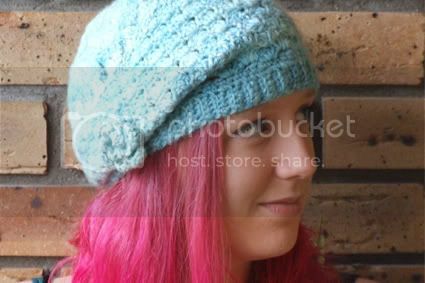 Ciara, my sister: Well, after the tragedy of The Beyond The Sea Hat, I'm inclined to spin up some more of that yarn, and make another for her. I have the pattern, I have the roving. Emer, my aunt: She got Emer's Rose Garden last year, so a scarf is out of the question. I'll have to ponder this. Nana: Took a liking to my Spring Picnic Hat and it looked awesome on her, so that's her nicely sorted. 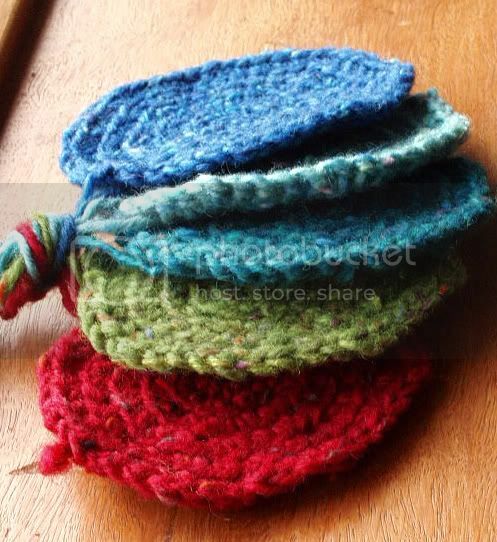 Lorraine, my cousin: We always exchange little things, so I'm thinking crocheted coasters, made out of good, honest, Kilcarra - no, it's called Donegal Tweed, now, isn't it? - in multi colours would be nice. Brian and Marion, my cousin and his wife: I reckon would get a kick out of felted bowls, with flower embelishment. She's European, and has a great, colourful sense of taste, and he's happy to let her decorate as it always comes out looking lovely. Plus, they have two, huge, rowdy dogs, so a bowl that can't be broken might just be the ticket. As for my friends, well, they're all computer literate, and some occasionally visit here, so I'm not adding them to the list. Suckers! You'll have to find out some other way. That's a great list and quite inspiring! I've started making some gifts for family but I darn't put it on my blog in case any of them read it! I can quite safely tell you that so far I've made a green shawl for my lovely smum and a hat and skinny scarf set in purple,blue,pink and white for my little sis! I hope they like them as much as I've enjoyed making them :) Next I'll be thinking of something for my brothers (I've got three) and my Dad. What do you mean your friends read your blog? No we.. emmm I mean... no THEY don't. So tell us, your non-friends, all about it.